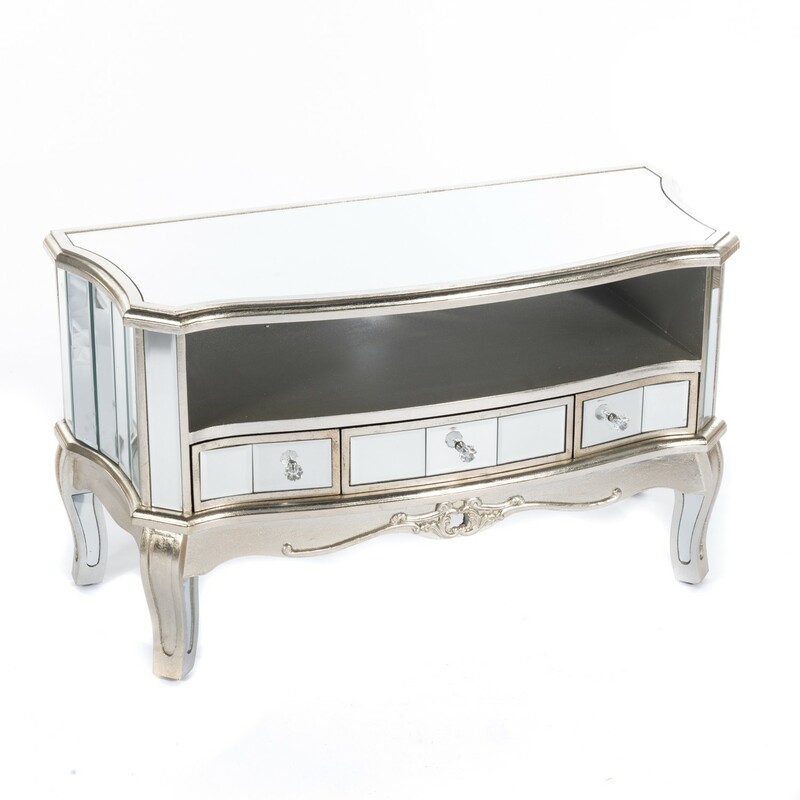 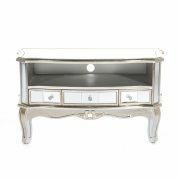 Annabelle venetian mirrored silver TV unit. Enhanced by a silver gilt leaf finish and bevelled mirrored glass, the solid wooden body is subtly curved for a truly authentic French antique look plus three drawers provide extra storage space. The measurements are; w92 x d40 x h51cm.